Next year, S&P 500 companies will add roughly $600 billion (2% of total assets) to their balance sheets. One company will more than double its reported assets (and more than quadruple its reported liabilities). This swelling of corporate balance sheets won’t come from increased investment or extra cash from tax cuts. It won’t come from any change in the business at all, actually. Instead, companies will add hundreds of billions of dollars in assets and liabilities to their balance sheets due to a new accounting rule that changes the way they treat operating lease commitments. Investors that don’t pay attention to this accounting rule change will mistake the addition of these leases to the balance sheet for a fundamental change in the business. 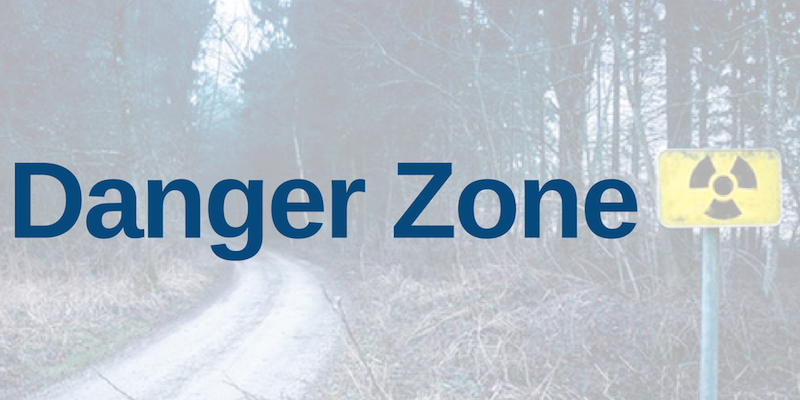 This risk puts these investors in the Danger Zone. Today, a company can lease assets in one of two ways: capital leases or operating leases. Capital leases are captured on balance sheets as the liability that funds the asset being leased. A simple analogy is a loan to purchase a car; payments are made contractually and, at the end of the term, the asset is owned outright. Today, operating leases are not captured on balance sheets. Due to slight differences in operating vs capital lease contracts, there is no official transfer of ownership. The problem is that the underlying economic activity for two companies can be exactly the same while their balance sheets are radically different because one can use operating leases while the other uses capital leases. Figure 1 shows the five S&P 500 companies impacted most by this new rule. Chipotle (CMG) will be the most heavily impacted company, as its $2.8 billion in operating leases equal 129% of its $2.1 billion in total assets. Unsurprisingly, all five companies are in the Consumer Cyclicals sector. The Consumer Cyclicals sector will be the hardest hit by the new rule since most retailers lease their brick and mortar stores. Operating leases are equivalent to nearly 7% of total assets for the entire sector. On the opposite end, the Financials sector has the lowest ratio of operating leases to total assets, while the Basic Materials sector has the fewest operating leases overall. Figure 2 has details. Other sectors where investors should look for the new accounting rule to affect balance sheets are Consumer Non-Cyclicals, Real Estate, Telecom, and Industrials (especially airlines, per the quote above). Most analysis of the new rule has focused on how it might impact leverage ratios and potentially trigger debt covenants that could lead to lenders calling the debt for some companies. In reality, this concern is a bit of a red herring. Most loans contain clauses to deal with accounting rule changes and already treat leases as we do. Lawyers and accountants will make a lot of money sorting out these loan clauses, but it’s doubtful that any companies will actually have their debt impacted. The more tangible impact will be on investors that use simple accounting ratios to screen and select stocks. In particular, investors that use return on assets (ROA) will see some major changes. Figure 3 shows how the rule change would impact the five companies in Figure 1 had it been in place this year. Investors that don’t currently account for operating leases and don’t pay attention to the rule change might think that Chipotle has become significantly less profitable. In reality, the company has actually been inflating its profitability in the past by taking advantage of this accounting loophole. This susceptibility to accounting rule changes is just one of the reasons we recommend investors avoid using ROA and use return on invested capital (ROIC) instead. The new rule won’t just make these five companies appear less profitable than before, it will also show that they are more highly leveraged. CMG bulls like to praise the company’s strong balance sheet, but that hollow argument will no longer work when the addition of operating leases quadruples its reported liabilities. Operating lease commitments have contributed to bankruptcies for retailers such as RadioShack and Sears (SHLD) in recent years. We don’t expect any of the companies in Figure 3 to go bankrupt in the near future, but their operating leases do impact their ability to reduce spending and close stores if economic conditions change. Despite the increased transparency into items on the balance sheet, the new rule is not without its flaws. In particular, it gives companies some discretion over how they discount future lease obligations to their present value, which might lead to issues of comparability between different companies. Our own models will continue to use data from the footnotes rather than the reported values on the balance sheet to ensure comparability. Still, it’s important not to let the perfect be the enemy of the good, and the new rule does make the balance sheet meaningfully more useful for the average investor in the long-term. In the short-term, though, some investors may be misled into thinking that accounting changes represent actual shifts in the underlying economics of the business. This article originally published on October 22, 2018.